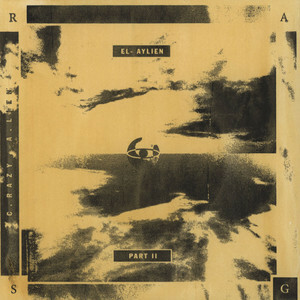 Pillar of Los Angeles experimental music RAS G beats-down the beat-scene yet again with the follow-up to 2010′s “El-Aylien” on Leaving Records. 1-sided 7″ custom silk-screened and hand-stamped. Includes two C.razy A.lien tracks + exclusive track “Times Cold”. Total runtime 5 minutes, limited to 300 copies. 7″ – $8.00 SOLD OUT!!! !